Woven Precision Handbuilts is at the top of their game when it comes to building custom carbon fibre wheelsets. With years of experience selling, building, riding, and fixing bikes, the owners of Woven know how to build wheels. Woven’s challenge was offering their exciting product to loyal and new riders alike while at the same time monitoring inventory. Building a wheelset requires a wide array of components. 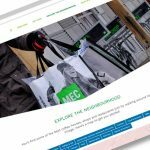 Inkline configured an e-commerce solution that could handle the complex customization offered to customers without sacrificing usability. This same system allows Woven to monitor and manage inventory in real time.